Mountain Oasis Cabin Rentals located in the beautiful North Georgia was established in 2014. 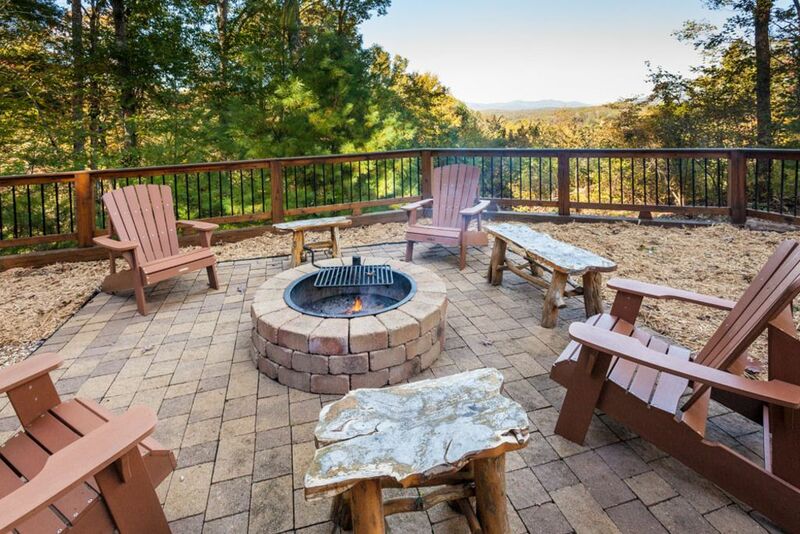 We are the property manager for this fabulous property as well as many other beautiful properties in Ellijay and Blue Ridge. With over 11 years experience in the hospitality industry, 30 years in management and customer service, you can be assured that your stay with us and the customer service you receive, will always be superior! Our goal has been and always will be, to exceed your expectations so that we are the company you think of and come to when visiting North Georgia! Expect the best with Mountain Oasis! There is a queen sleeper sofa on the terrace level. Such a great place to enjoy a weekend away with the girls! The cabin is very close to downtown Blue Ridge and has everything you need for a relaxing get away. Really enjoyed the cabin, amenities, and view! I was very pleased along with my bible study girlfriends who joined me for a relaxing retreat weekend! All the clean, spacious rooms and amenities were exactly as depicted (plenty of towels/soap etc.) and the covered spaces outdoors proved convenient to still enjoy wet weather. Knowing we were in a well-planned, gated community put us at ease. It truly was a short walk down to the river or drive into town. We hope to return in the fall to see the amazing views draped in fall colors. Honeybear Lodge was the perfect cabin for our girls weekend! The cabin was clean, stocked with everything we needed, and in the perfect location! We had the best time there and have chosen to make our trip an annual one! We can’t wait to stay at Honeybear Lodge next year! The view was speechless & the home was cozy and perfect for Blue Ridge! The house had the best view! It was really clean too, which for me is important for staying anywhere! House really felt like you were in the mountains!!! Obsessed with this house! We will definitely return again! Honey bear was all we expected and more! Clean, organized, spacious...exactly what we were looking for in our mountain vacation! Amazing views and in gated community which have that extra sense of security!